I remember the day, the people, the restaurant, and even the weather the very first time I ever tried Lardo. I was on a whirlwind trip through Tuscany and my friend and guide took me to one of the best restaurants in which I have ever had the pleasure to dine. The place was Villa San Michele in Fiesole, Italy, situated on the wooded hills overlooking the city of Florence. The weather was cold; the slow winds gave a chill to the air, but the small plate of near transparent shaved pieces of cured hog’s fat kept both my soul and body warm. Cured meats are one of my favorite things. There is so much story, care and love behind every salumi, prosciutto and sausage. I finally decided to try and produce some of my own cured creation, and what better place than with Lardo. While I was, and still am waiting, I started playing around with my second favorite cured meat, prosciutto. We have all had prosciutto before, either with melon, on a charcuterie plate, or right off the leg but I wanted to do something different. I have made prosciutto crisps before, but why not take that beautiful crunch and salted meat flavor and change up the form? So I made prosciutto cones, tasty crunchy treats of salty meaty goodness. But I needed something to put into the cones, so I tried several different fillers. My favorite was either the melon ice cream, or the balls of melon tossed in date honey then placed on top of the cones. Both were a perfect spring time expression of the Italian classic. This spring I wanted to do something different with strawberries, and I found my inspiration from a childhood favorite…. Pie! 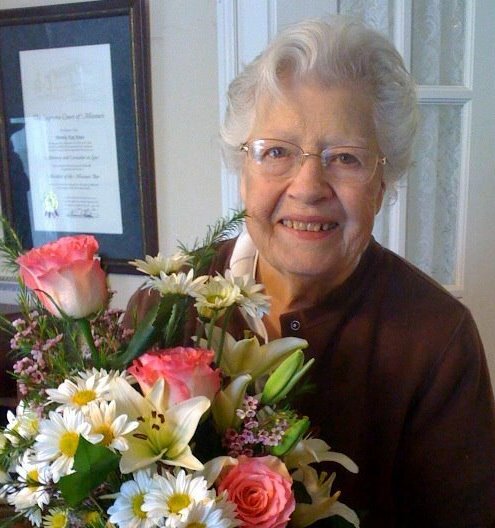 Growing up one of my favorite pies was my Grandma Jones’ strawberry and rhubarb pie. The sweet and tart mixed perfectly together between a light, flaky and crispy crust was the truest expression of spring in my young eyes. This flavor combination was my gateway to my newest creation, and once I started playing with the flavors and combinations, I just couldn’t stop! My first goal was to recreate that amazing filling, not an easy task since Grandma made everything from memory. But as I was prepping the berries I remembered the classic Italian treat I enjoyed on a trip I took to Modena, Italy when I was studying abroad. We visited a family vineyard that had been making balsamic vinegar for centuries and they treated us to an Italian taste of spring, fresh strawberries drizzled with balsamic vinegar right from the cask. With these memories running through my head I made a strawberry, rhubarb, fresh orange and white balsamic vinegar compote. The white balsamic brings out the sweetness in the orange while also adding just a touch of tartness and enhancing the flavor of the berries. This compote would be my base for all the dishes I would make. This is a fruit compote mini tart with an orange and balsamic glaze whipped cream topped with a bit of candied orange peel. The whipped cream is a burst of fresh and exciting flavors that lighten and enhance the whipped cream, while the candied orange peel adds another element of texture to the tart shell and baked compote. Consider, for your next plated dinner an individual tart topped with homemade vanilla bean ice cream and drizzled with chocolate balsamic vinegar. The warm tart starts to melt the ice cream as the dish is plated and the chocolate balsamic drizzled over the top adds a fresh and tart bite, while enhancing the strawberries with a bright chocolate taste. For an elegant passed dessert I made our filled strawberries with the orange balsamic whipped cream topped with a pipette of chocolate balsamic vinegar. This was a pure expression of spring, with bright flavors and a perfectly ripe strawberry to top off the mix. But the best is saved for last; I give you my favorite -- challah and croissant bread pudding with strawberry and rhubarb compote, topped with strawberries, orange zest and chocolate balsamic vinegar. The pudding was silky smooth, while also being light and creamy. In between the layers of bread I spooned some of the compote so you would have pockets of fruit when you serve up this delicious treat. I never could recreate my grandmothers’ strawberry rhubarb pie, but I hope my spin on her classic leaves her smiling. Several weeks ago our crew went down to Alex Pope's butcher shop, The Local Pig, where we learned how to butcher a whole 180 pound pig. Well folks, we have been going hog wild over here at LLIO, pardon the expression. After the class each participant received 10 pounds of pork, and Alex tried his best to give you exactly the cuts you wanted. Me, I love pork fat. All I wanted was the back fat (more on that in a later post), caul fat, and the belly. Receiving that brown box full of fatty porky goodness made me feel like that kid from A Christmas Carol when he opened his Red Rider BB Gun. I knew I was going to have fun, and potentially get hurt. I wanted to do something different with this pork belly. Everyone now a days is doing Asian pork belly sliders, BBQ belly, confit and fried pork belly and on and on. I decided to go a different route, to a couple areas I know and love -- to the Provencal region of France and Basque region of Spain. The Provencal region of France, to me, is known for its light but crisp flavors. And for such a rich piece of meat like pork belly this was a perfect pairing. I took a cut of the belly and scored the skin, just enough to cut all the way through the skin but not too much into the fat, and rubbed the outside with olive oil and salt from our preserved lemon jar. The belly was then placed on a bed of celery, onions, lemon slices, fresh rosemary, garlic, thyme and tarragon. The braising liquid combined lemon juice, chardonnay, and light chicken stock. The Basque braised belly is a whole different animal. The flavors of this region are bold, substantial, and most of the time right in your face! The complex and strong flavors worked well to offset the intense richness of the belly and helped to permeate the fat with a wonderful tomato, saffron, and red wine bouquet. This started off by cooking down a mixture of garlic, carrots, celery and onions in some olive oil. When the vegetables started to take on some color I took them out, seasoned the belly liberally with salt and fresh cracked black pepper, and seared the belly in the pan. After the belly was good and brown the pan was deglazed with red wine and beef stock. Both bellies were placed into the oven covered and slow cooked for about 4 hours till they were succulent and fork tender. I took the bellies out of the pan and placed them in a hot hot oven till the skin turned wonderfully crisp and bubbly. The sauces were strained, fat removed and reduced. And here they are -- Provencal pork belly with roasted fingerling potato salad with shaved fennel, celery and sweet onions. Another option we tried was cooking some white beans in the Provencal braising liquid, and then tossing them while hot with fresh arugula. Then we have the Basque inspired pork belly with saffron rice and fresh peas. I can see it now, a whole pork belly carving station with this beautiful crispy skinned belly resting on a board where carvers slice of steaming chunks of porky love. But it can also be done as a plated item with a small square of the belly shining brightly on the plate. Either way, it's hard to say no to a beautiful belly. 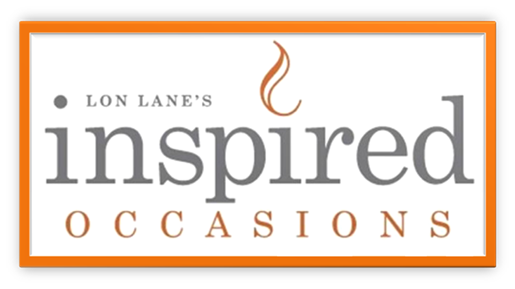 Stay tuned for more inspired dished from Lon Lane's Inspired Occasions Research and Development Department! What’s your first thought when you hear the words “Carving Station”? For me it brings up images of huge slabs of beef being sliced to order while wisps of steam escape from their meaty confines. But here at Inspired Occasions we tend to think a little differently and decided to redefine Kansas City’s notion of a carving station by using whole vegetables! This idea came from our love of vegetables and our desire to celebrate all their amazing flavors. Most of the time vegetables play second fiddle on the plate, an afterthought or a forced addition. We want to change that idea and so we created a whole grilled and roasted vegetable carving station! The amount of color and flavor these beautiful vegetables provide lends to an amazing display! Whole carrots, asparagus, zucchini, squash and eggplant lay the base while grilled portabellas and peppers lay delicately in-between. But the stars of the show are the tri color whole heads of roasted cauliflower. With this set up our chef will carve those beautiful vegetables table side and pair with some amazing sauces (Spicy cilantro yogurt, roasted garlic crème fraiche, lemon aioli and roasted tomato aioli), aged balsamic, stilton bread crumbs and blue cheese crumbles. We paired this with a Caprese Salad Carving Station, fresh heirloom tomatoes, house made mozzarella, aged balsamic, and Himalayan pink salt. Stay tuned for more great dished from Lon Lane's Inspired Occasions Research and Development Department!